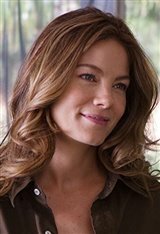 Growing up in the small town of Winthrop, Iowa, Michelle Monaghan acted in school plays, but never dreamed she would wind up being a professional actress. After high school, she went on to study journalism at Columbia College in Chicago. While there, she did some modeling to help pay for tuition fees. Impressed by the money she was earning, and finding herself in demand for print ads, she moved to New York City in 1999 to pursue modeling full time. Shortly after, Michelle landed a regular role on the new WB drama series, Young Americans. The series didn't last long, but she bounced back with an appearance on Law & Order: Special Victims Unit and made her feature film debut in Perfume (2001), which screened at Sundance, but wasn't released to theaters. Following a small role as Richard Gere's secretary in Unfaithful (2002), Michelle garnered a recurring role on Fox TV's hit series Boston Public as a high school teacher. She stayed with the show until it came to an end in 2003, then returned to the big screen in It Runs in the Family (2003) opposite Michael Douglas. Supporting roles in big budget pictures such as Winter Solstice (2004), The Bourne Supremacy (2004), Mr. & Mrs. Smith (2005) and North Country (2005) followed. Michelle played her first major motion picture starring role in Kiss Kiss Bang Bang (2005) opposite Robert Downey Jr. and Val Kilmer. This elevated her Hollywood profile enough that she was chosen as Tom Cruise's leading lady in Mission: Impossible 3 (2006). She worked with Downey Jr. again when she played his wife in the comedy Due Date (2010). Following that, Michelle also played Sam Rockwell's unappreciative wife in Better Living Through Chemistry (2014) and played a starring role in the movie adaptation of Nicholas Sparks' The Best of Me (2014). More recently, the talented beauty starred alongside Mark Wahlberg in the true-story drama Patriots Day (2017), with Jamie Foxx in the crime thriller Sleepless (2017), and opposite Elle Fanning and Logan Lerman in the drama The Vanishing of Sidney Hall (2018). She also reprised her role as Tom Cruise's wife Julia in Mission: Impossible – Fallout (2018). Michelle married Australian Peter White in August 2005. They live in New York City with their two children.